Habitat: Upland, Mountain. 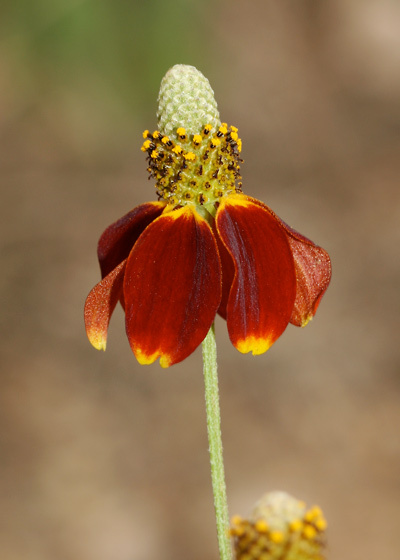 This prairie wildflower grows in sunny, open areas in grasslands and grassy clearings in the mountains. 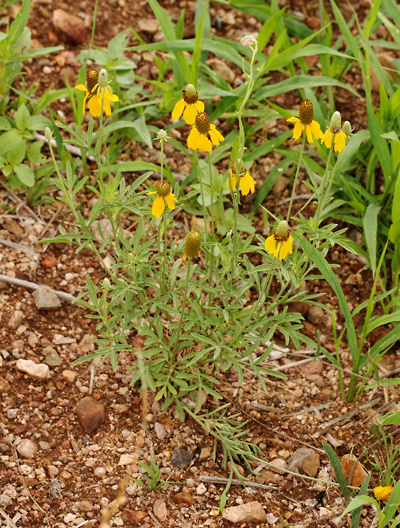 Because it is often included in roadside wildflower seed mixes for these areas, it is especially common along roadsides. 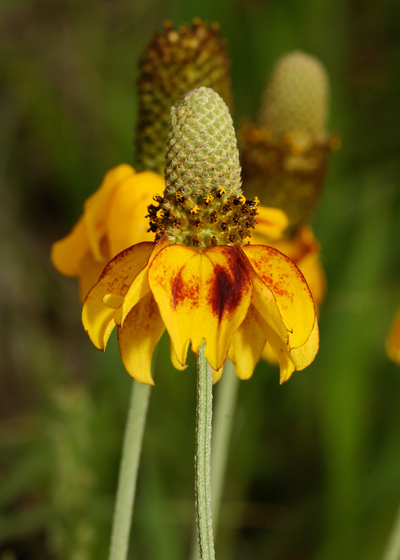 Description: The flower heads are on tall, erect stalks and have a light green, elongated cone-shaped, up to 2 inch (5 cm) tall central column with dark brown and yellow disk flowers and a ring of 4 to 12 reflexed, narrowly egg-shaped rays. The leaves are light green, alternate, hairy, gland-dotted, and once or twice pinnatifid with narrow lobes. The stems are rough, hairy, green, ridged, branched, and upright. 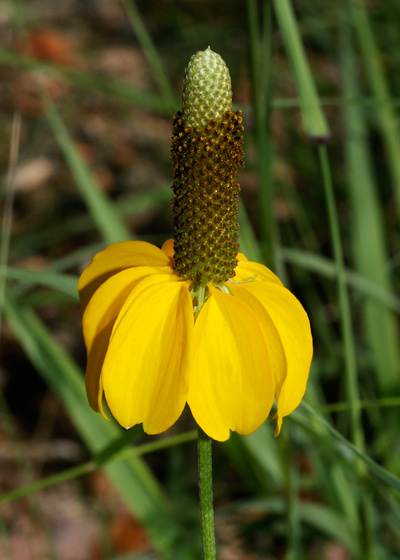 The similar Green Prairie Coneflower (Ratibida tagetes) has flower heads with a much more rounded central column and shorter rays. Culturally Significant Plant – Native Americans made tea from the leaves and flower heads and used the stems and leaves for medicinal purposes. 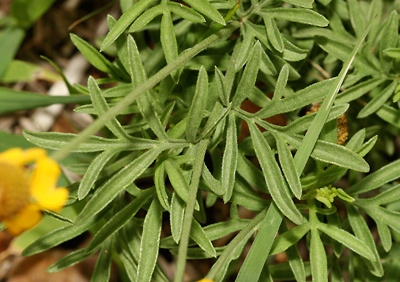 Edible – The leaves and flower heads are edible and can be used to make tea.